Member of Finnish Meteorological Institute (FMI) Climate Research Programme, Aerosols in snow WG, and member of FMI Antarctic Ozone and UV research; member of Arctic Council AMAP EGSLCF; PI of EU-Interact-BLACK-project, PI of Ministry of Foreign Affairs of Finland project "Black carbon in the Arctic and significance compared to dust sources, 12/2018-12/2020"; PI of IASC-2019 Workshop on Effects and extremes of high latitude dust, Iceland 13-14 Feb 2019; co-convener of EGU-2019 session, co-convener of the EGU-2018 session on “Atmosphere – Cryosphere interaction with focus on transport, deposition and effects of dust, black carbon, and other aerosols”, co-convener at IUGG-2019 Canada meeting; MC-member of EU COST Action in Dust (focus on middle and low latitudes dust, e.g., including Saharan dust); WG-member EU COST Action on SNOW (Action coordinated by FMI Finland); NCoE CRAICC Fellow, and more. Figure of yellow alert for weather in Iceland by the Icelandic Met Office. It is now the third storm in a row, told my EU-Interact-BLACK project host Hanna María Kristjánsdóttir, Director of the Sudurnes Science and Learning Center (SSLC) in Iceland. Sudurnes Science and Learning Center director Hanna María Kristjánsdóttir. But this is unusual April weather. Today we have yellow alert for extreme weather in many (most) parts of Iceland. People are adviced to stay indoors. In addition to the national weather forecast at https://en.vedur.is it is wise to check info for safe travel at https://safetravel.is/ and road conditions and weather at http://www.road.is. Photo. Sangerdi pond life as presented in the Sudurnes Science and Learning Center exhibition. Before the storm started I sampled two nearby ponds. There are several ponds in the northern coastline of the Reykjanes peninsula. They are due to ground water river and its springs, i.e., water bursting to the surface from below ground. As they originate from ground water source, they can provide some information on BC in groundwater, too. Of course the water contains deposited BC, too. Due to the hard winds during the recent storms we can assume the water to be well mixed at the time of sampling. The Sudurnes SSLC (location: blue circle in the map above) is located in the coast of the Reykjanes peninsula. SSLC provided me with sea water and drinking water samples, too. For drinking water, I really do not expect any BC to be found. Actually I have previously analyzed Reykjavik drinking water and it had no BC. The tab water here in Iceland tastes so good, too. For sea water we shall see! It is an open question. You will find that information later here, after the samples have been analyzed in the laboratory, in Finland. Hence, despite the storm, I could sample and filter a lot of various types of water samples! One of the scientists at SSLC, Joana Micael, told that she has studied Ciona intestinalis (also known as vase tunicate) as an invasive species capable to grow in the harsh Icelandic climate conditions. Amazingly tough! Unfortunately they are harmful to Iceland’s ecology. 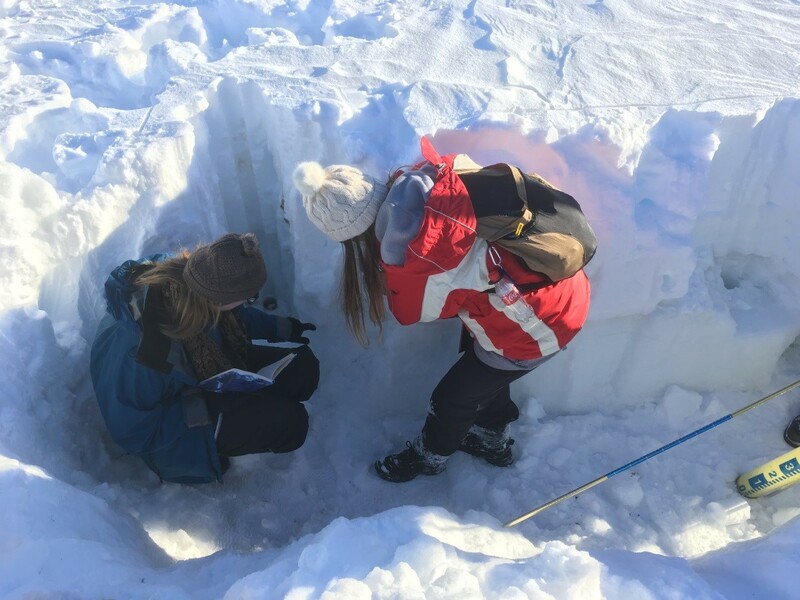 The aim was to sample snow and water in February during cold season and water in April after snow melt season to study their Black Carbon contents. If we find BC in our winter samples of snow, we are interested in knowing where BC can be detected after snow melt. This post welcomes you to share my experiences on research field work at ECN Cairngorm and elsewhere in the Cairngorms National Park, Scotland, UK. ECN Cairngorm, Scotland, in March 2019. ECN refers to the UK Environmental Change Network, which is UK’s long-term environmental monitoring and research programme. The ECN Cairngorm site is owned by the Scottish Natural Heritage, managed by the Center of Ecology and Hydrology, and has been the subject of intensive hydrological and snow related research. (For more info: http://www.ecn.ac.uk). Cairngorms is the name of the mountain region and of the national park. The national park is a huge area with also many villages inside it. In this arctic-alpine mountain environment snow can fall any month of the year. Cairngorms is not only the place of the lowest recorded British temperature (-27.2 °C) but also the greatest wind speed, too. The Cairngorms Mountains within the ECN catchment (57°07’ N, 03°49’ W) rise above the treeline of 650 m with the highest peak of 1309 m. They are part of the Cairngorm National Park. This sampling in the Scottish Highlands of the EU-Interact-BLACK project was planned with detailed maps well in advance, thanks to the kind help of my EU-Interact host Christopher Andrews. These maps really were a friendly and welcomed help! We then met directly in the field of the ECN Cairngorm site to find spring water, streams and snow there. It would have not been possible to find all these without his expertise of the area. The area has its challenges, too, including streams to be crossed over. This photo of snow was taken inside ECN Cairngorm in March 2019. From far distance it appeared that there is hardly any snow, but when you climbed more up to the mountain, you got enough snow for a good sample. Most important for a visitor is to realize that the weather can change suddenly and that a snowfall today can last either long or be melted rapidly. This was exactly what we experienced: when planning the field work with the help of Chris, the snow statistics showed that end of March is a good option for sampling snow; it might be still non-melting cold snow or could be melting snow. This year, however, a record breaking warm February melted practically all snow. Thereafter the winter was not over, but a new snowfall introduced snow again (“turning the environment into a white winter wonderland”) and that new snow (melting during the time of this visit) we were able to sample. And new snow is expected soon again, at the very end of March. In addition to finding snow, there were some other challenges, too. The first one was definately the left handed traffic. You have to keep really focused all the time in the traffic whether walking, driving or cycling. Secondly, the original BREXIT day was during my UK visit. Nobody knew how it would affect. Luckily the schedule was changed! What was most surprising? Perhaps to see an eagle in the sky (a Golden Eagle*, according to Chris), and to learn that the big mammal predators of wolf and bear are totally missing here in Cairngorms! Status: Protected in the UK under the Wildlife and Countryside Act, 1981, and classified in the UK as an Amber List species under the Birds of Conservation Concern review. To reach Cairngorms, I took the train from Edinburgh Waverley to Aviemore. The journey took less than three hours and was quite easy and confortable. On the way I saw a big change in the environment, as the green sunny fields turned into more winterly and cloudy hills with snow on the top of them. What a difference in less than 3 hours! As a summary, the samples gained at the ECN Cairngorm site, and elsewhere around the Cairngorms National Park, represented snow, spring water, stream water, water of the River Spey and lake water. Meaning a really good variability of different types of samples. Photos: Outi Meinander, Finnish Meteorological Institute, Finland. Photo: On the mountain Slættaratindur, the highest mountain of the Faroes. Did you know that there is no standard definition for Arctic? Almost 80 % of the Faroese area is in the regime of an Arctic climate, defined as mean monthly temperature below 10 deg Celsius for the warmest month. In the Faroes it means appr. the altitude of 200 m.
The area north of the Arctic Circle (66° 33’N). This is also approximately the southern limit of the midnight sun and the polar night. The northernmost Arctic tree line boundary where trees can grow, which roughly follows the 10 °C isotherm. We have now visited five of the 18 Faroese islands and walked along three of the most famous hiking routes while sampling water, snow and ice for chemical analysis of Black Carbon, Organic Carbon and dust. We also climbed to the highest mountain of the Faroes. We really had much better weather than expected on the basis of any statistics. Also, the closeby low pressures decided to go elsewhere. Lucky us! Most of the rain during our visit came at night. We also had some rain during daytime, but mostly these were slight showers only. Yet, the ground was quite wet (plus snow in the mountains) and waterproof winter hiking shoes were definately needed. Rubber boots would have been too slippery. This time of the year water really seems to be everywhere. You will experience it as rain or snow on you, as wet land under your feet, as natural streams almost every ten meters and as amazing water falls. The FINI Office in Torshavn. The Faroe Islands Nature Investigation (FINI) belongs to Jarðfeingi (Faroese Earth and Energy Directorate) and partners. The first morning (Day2, the next day after our first hike and first water, and actually our first snow sample, too) we visited the FINI Office in Torshavn to discuss more about our sampling plan face to face with our EU-Interact host Lis Mortensen. And it was a great discussion and we decided to go hiking together with Lis to get snow samples safely from the highest mountain of the Faroes and to find some permission-needed water samples. Super! After the morning planning we headed walking for lunch to Torshavn. And it is such a lovely town! Here are some photos. 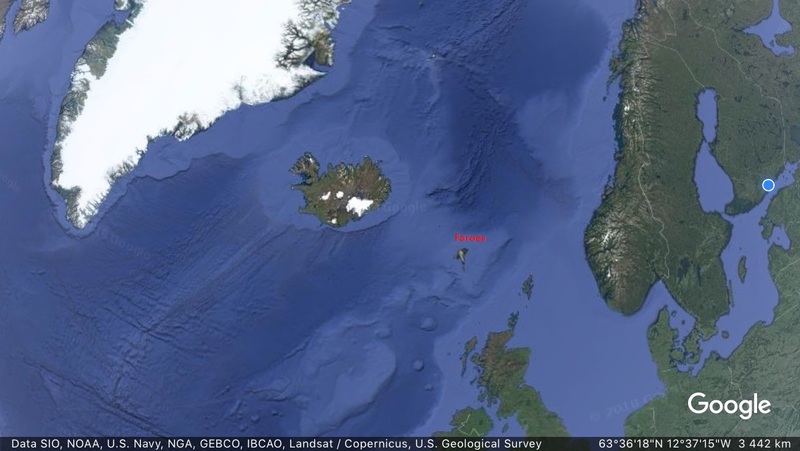 There is a small island of Nolsoy just in front of Torshavn. You can reach it easily with a ferry and as there are practically no roads in Nolsoy, there is no need to take a car there. We took the morning ferry and hiked along the grassy and wet hiking route of the island. You know you are on the route when you find the signs along it. Our stream sample was from a place with a sign, of course! At this time of the year no cafe or restaurant was open while we were in the island. Luckily the one and only shop of the island was open and we got a hot cacao after our many hours hike and while waiting for the return ferry. Slættaratindur (Flat summit) is the highest mountain in the Faroe Islands at 882 meters above sea level. 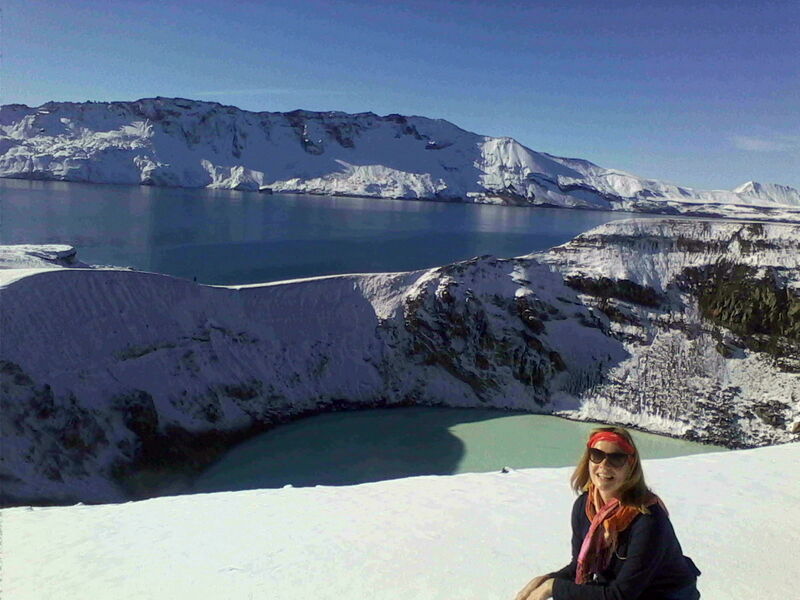 We (Lis, Outi and Laura) climbed together along the hiking route in order to get snow samples from various altitudes. It was hard work in winter conditions with up to 50 cm of snow. In the summer this is a nice hike and takes like 2 hours to the top and down. But in winter conditions you should not try it without proper preparations and experience. Even for an experienced person the hike to summit and down can take 8 hours, as told here by one climber: https://49peaks.com/2018/02/25/slaettaratindur-faroe-islands/. We decided not to go all the way to the top as originally planned. The views from our highest elevation reached were magnificent and we were also pleased with that spot for snow sampling. 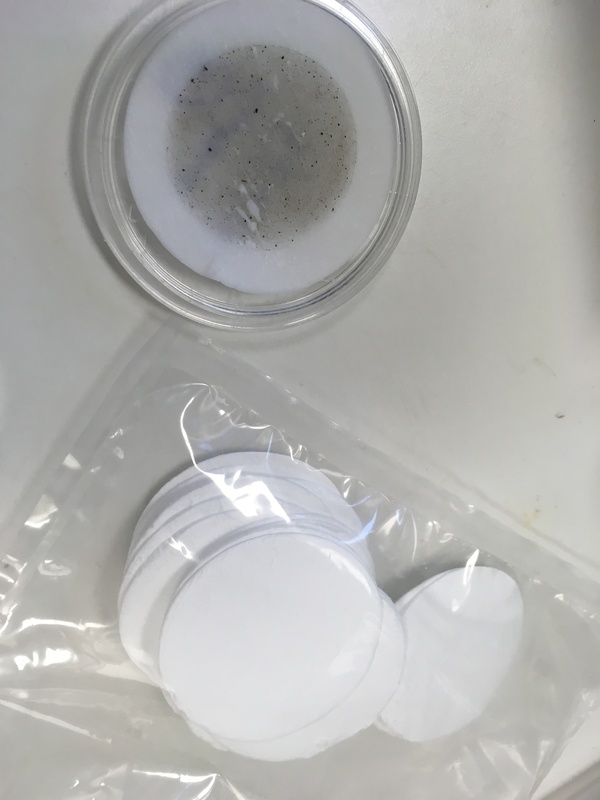 These 16 filter samples of snow and ice and water were the outcome of our visit and contain the story of our Faroes experiences as told in this Arctic research blog. The field research of the EU-Interact-BLACK-project in Faroes, in FINI and around, took place in March 2019 by me and my colleague Laura Thölix, FMI. Our aim was to collect samples on snow, natural water and drinking water, for filtering and chemical analysis of black carbon, organic carbon and dust. Photos: Outi Meinander, Finnish Meteorological Institute. The island of Vagar in March. Finally here! It is a sunny day of March and absolutely breathtaking views. We start with a 10 km hike righ away, having our suitcases with us in our rental car. We are still on our way from the airport to Torshavn. It means hiking in the island of Vagar in the area of Midvagur and Vatnid (the biggest lake in Faroes), and the waterfall Bosdalafossur. Snow we can see only very high up but not in the area where we are hiking. We follow the paths (you are not allowed to go off the paths) and sample a stream. Great, this is our first sample from the Faroes! Day1 and sampling water of a stream. You can learn more about hiking in the Faroe Islands at https://issuu.com/visitfaroeislands/docs/vfi_hiking_uk_hq.compressed. And yes, we saw Faroes sheep, too. They are free to go as they wish and they are everywhere. 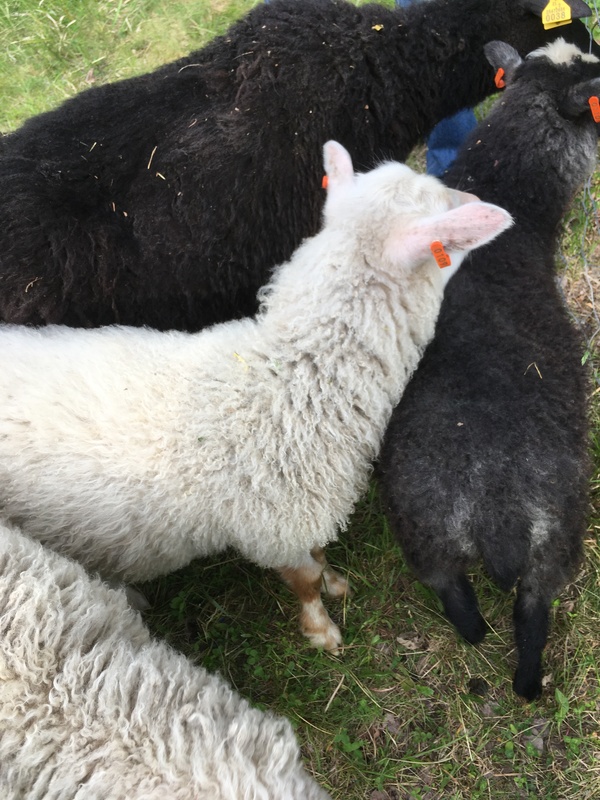 Photo of the Faroese sheep we met on Day1. The important question for us is of course whether we can find snow? Well, not only are we lucky with the perfect weather now but it has also been snowing just one day before our arrival. It means snow samples for us! Next, we will visit FINI and meet Lis and continue sampling more water and snow. We will tell you more about this amazing place and what we experienced while sampling, but it will be in our next post. 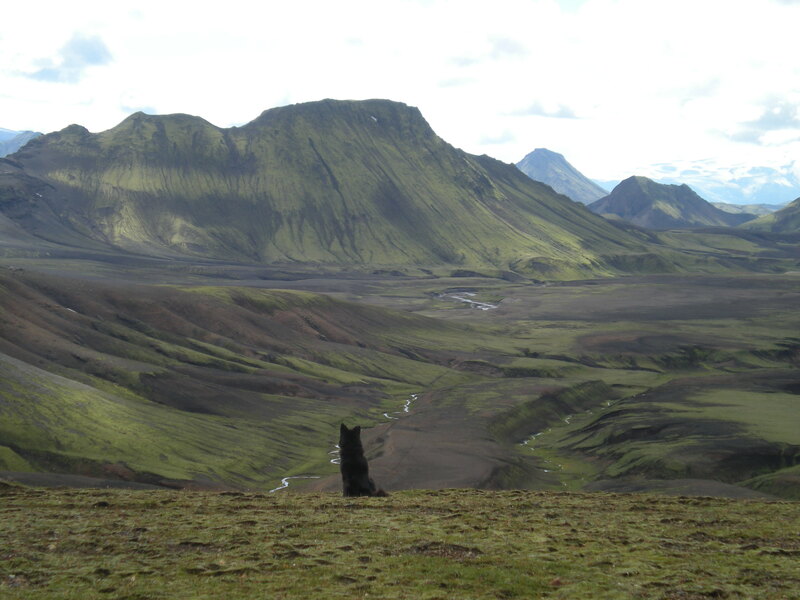 The field research of the EU-Interact-BLACK-project in Faroes, in FINI and around, takes place in March 2019 by me and my colleague Laura Thölix, FMI. Our aim is to collect samples on snow, natural water and drinking water, for filtering and chemical analysis of black carbon, organic carbon and dust. Photos: Laura Thölix and Outi Meinander, Finnish Meteorological Institute. The average temperature of the warmest month (July) exceeds 10°C in the lowlands of southern and western Iceland, but is below that in other parts of the country. This makes the larger part of Iceland belonging to the arctic climate zone. Sampling snow, ice and water in February in Iceland definately requires the right attitude. It is icy and slippery everywhere (and often very windy too!) and the best shoes for sampling come with spikes. The spikes can be really big like the ones above, in the crampons made for blue ice glacier walking (those were the ones we actually used during this EU-Interact-BLACK project glacier sampling) or smaller ones like in the figure below, where the spikes are attached permanently to the shoe. This kind of spike shoes are commonly sold and used in Finland and they are most useful for everyday walking outdoors during the icy and slippery times of the year. Photo. Shoes with spikes are commonly sold and used in Finland. For the first glacier visit to Solheimasjokull, we had truly an international group of scientists. We were Zongbo Shi, Jill Bachelder, Isatis Cintron, Pavla Dagsson- Waldhauserová and me from UK, Canada, USA/Austria, Czech/Iceland, and Finland. From the EU-Interact-BLACK team members, Pavla Dagsson-Waldhauserová and me (many many thanks Pavla!) continued also further to Vatnajokull together with Isatis, who was the key person to arrange our campaign there! Many thanks to Isatis for this wonderful campaign! These all glacier visits were truly amazing and we had really good luck with the perfect weather, too. These samples I then took with me to the Sudurnes center and melted and filtered them there. Here below some photos for you to share some of our glacier experiences. Photo. Up in the Vatnajokull glacier. Photos. Solheimajokull glacier. 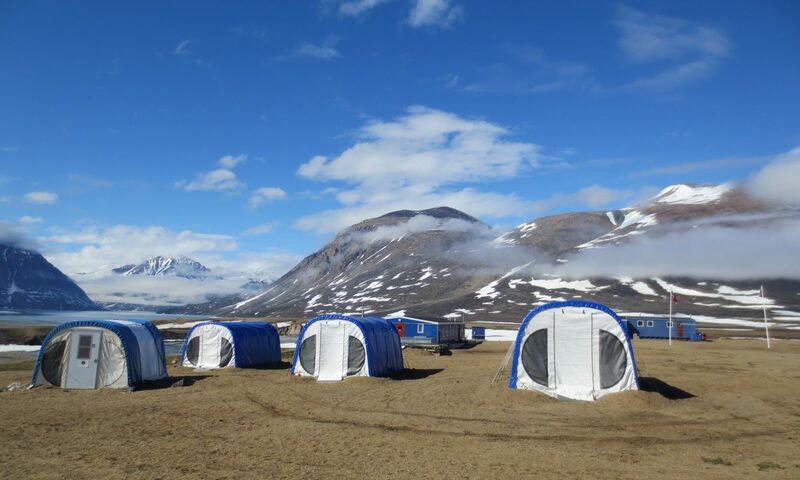 In addition to glaciers, the sampling included sampling of drinking water and natural water, as well as seasonal surface snow for the analysis of black carbon, organic carbon and dust contents. Hence, all the planned types of different samples were successfully collected for February 2019, to represent winter concentrations of impurities. Photos. Sudurnes Center and some of the sampling places around it. The sea around Iceland is open. Hence, the Iceland visit was both successful and amazing, but sometimes very very windy and with worse winter road conditions! Check the maps here below. The weather maps are available at the web pages of the Icelandic Met Office at https://en.vedur.is and I studied them first in the mornings when starting planning the day, and especially I checked the winds. The road maps are at http://www.road.is. Figure. The weather forecast map for 20 Feb 2019 at 6 am GMT, produced by the Icelandic Met Office. The red arrows indicate very strong winds. Figure. Yellow alert for weather in Iceland for strong gales on 20 Feb, by the Icelandic Met Office. You can find their mobile app by typing “vedur”. Figure. The road conditions can be found at http://www.road.is. The best way to get information about road conditions and the weather on the road system is to call 1777 (if problems use +354 522 1100). Open 8-16 in summer and 6:30-22 in winter. Figure. The symbols used for the road conditions at http://www.roads.is. Many roads are closed the whole winter and driving is prohibited. Now back in Finland, thank you Iceland and I want to thank all the wonderful people who were together with me in the field, as well as the great people of Sudurnes Science and Learning Center. It was great meeting you all and especially the one true Icelandic, the smiling and friendly Iceland sheep dog, in photo here below! Photo. The smiling Icelandic sheep dog I got to meet at Sudurnes. Snow covers the Solheimajökull glacier and -surprise- its frozen melt lake, February 2019. Last time I saw the lake in winter time, it was not frozen. 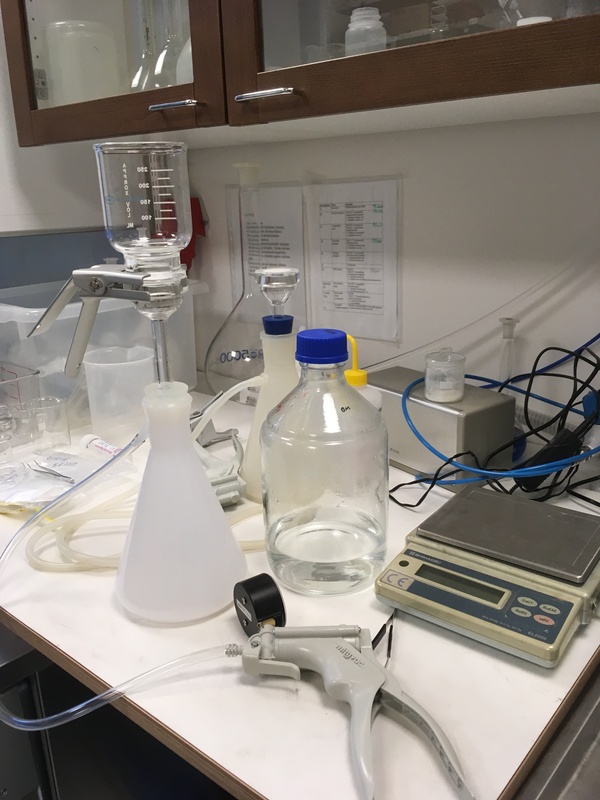 Surface snow and ice samples, as well as natural water samples, collected in the field in Iceland, will be filtered at the laboratory of the Sudurnes Science and Learning Center. Today I arrived to the Sudurnes Science and Learning Center at the Reykjanes Peninsula, for the EU-Interact-BLACK -project. The director of the Center, Hanna María Kristjánsdóttir, was right welcoming me and showing around the great lab facilities. 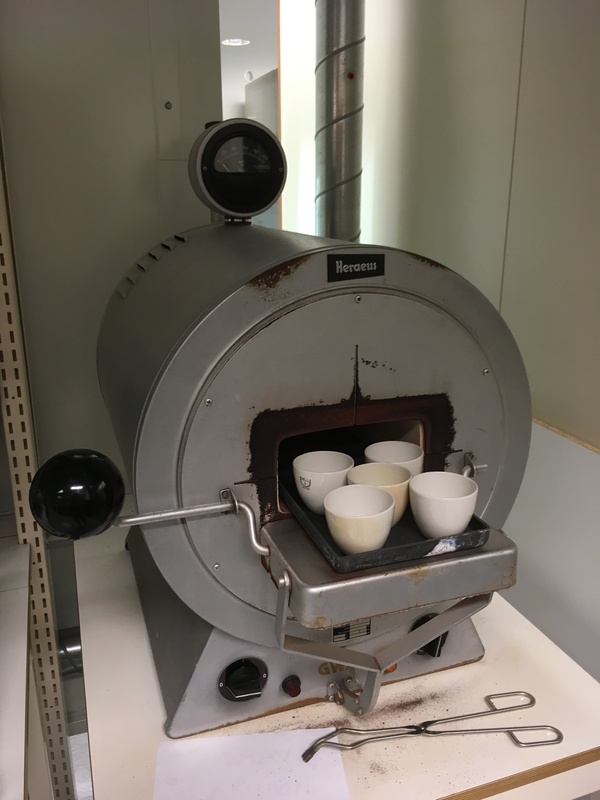 This was super, especially as I already had snow and ice samples with me when arriving and needed a place for them, to melt and filter them in the Center’s lab (photos below). Surface snow and ice sampled have found their way to the Sudurnes Science and Learning Center laboratory! Next they are to be fully melted and thereafter filtered for the chemical analysis. The chemical analysis I will make with the OC/EC thermo-optical analyzer of the Finnish Meteorological Institute back in Finland. Hence, my samples from Iceland to Finland will be easy-to-carry along filter-samples. The sampling itself would require more space to tell, so I will continue more about it in my next post. Here below still some photos for you to get a better idea of the Sudurnes Center. I absolutely love the inside and outside of the house and its surroundibgs, even though it is now winter time and cold and quite windy. In summer it will be open for visitors, too. The Sudurnes Science and Learning Center is a scientific research facility in the Sudurnes region. This lighthouse is close to the Sudurnes Learning and Science Center. Photo: The filtration system ready for laboratory work at the Sudurnes Science and Learning Center, Iceland, after field sampling. It is just amazing how much preparations are needed right before the field work can take place! 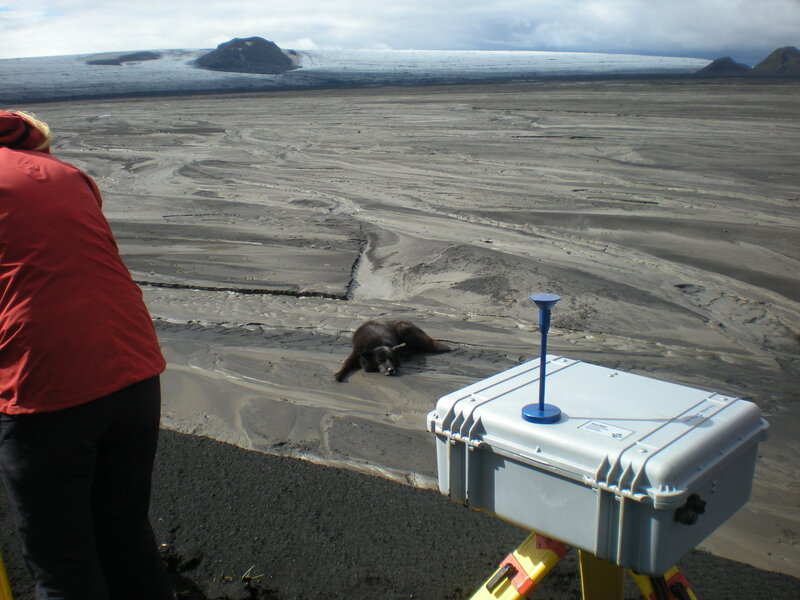 Iceland will be the first place for us to start this winter-season’s field work. But, we did start a new measurement setup for BC deposition in snow here in Helsinki Kumpula this week, too, at the SMEARIII station, https://www.atm.helsinki.fi/SMEAR/index.php/smear-iii, and it was by a fortunate co-incidence that I started talking with my colleaque Mika Vestenius in the lunch table and thanks to him here we are! This week, one week before going to field and working on the impurities on snow and water, preparing for field work means pre-burning sample filters, collecting together all the laboratory stuff needed, and planning more detailed about the sampling and the program during the visit… and there will be a lot of going on during the visit, but about that you can read more later in my separate BLACK-blog’s posting on Iceland visit. Photo: The filters are preburned in an oven at temperature of 800 degrees Celsius for 4 hours at a time. 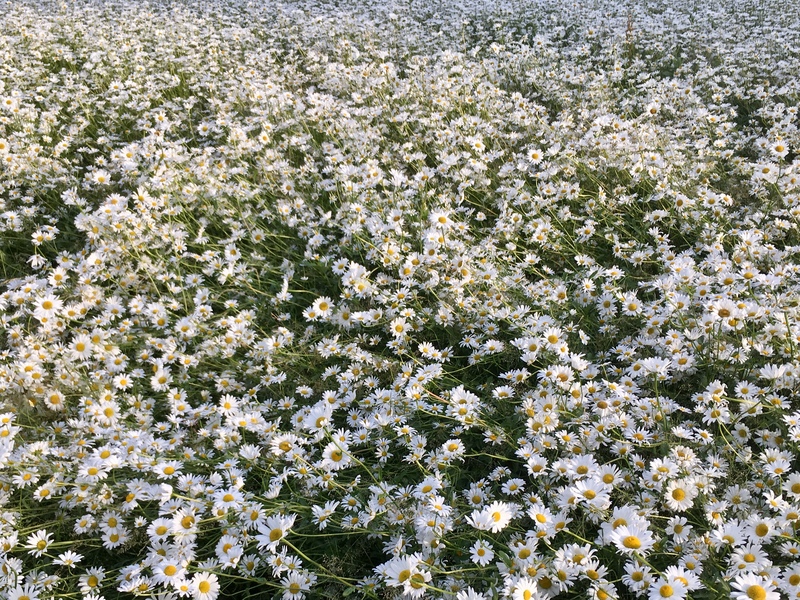 Why do we need filters in the field work? Photo: These are the pre-burned filters, one with a sample filtered through and the other, white ones, waiting the action to start in Iceland. How to prepare to Iceland in February? My Icelandic host Hanna María Kristjánsdóttir,Director of the Sudurnes Science and Learning Center, Iceland, has warmly welcomed me and confirmed the stay. Many thanks! Can not wait to meet you all there in Iceland! In Iceland, the winter weather can be very windy and snowy, depending on the location you are. And it can even happen in Reykjavik, as it was the case on 26 Feb. 2017. It really was a fortunate co-incident in 2017, that I was part of an international snow measurement campaign (planned way in advance!) in Reykjavik at the time of this record event. 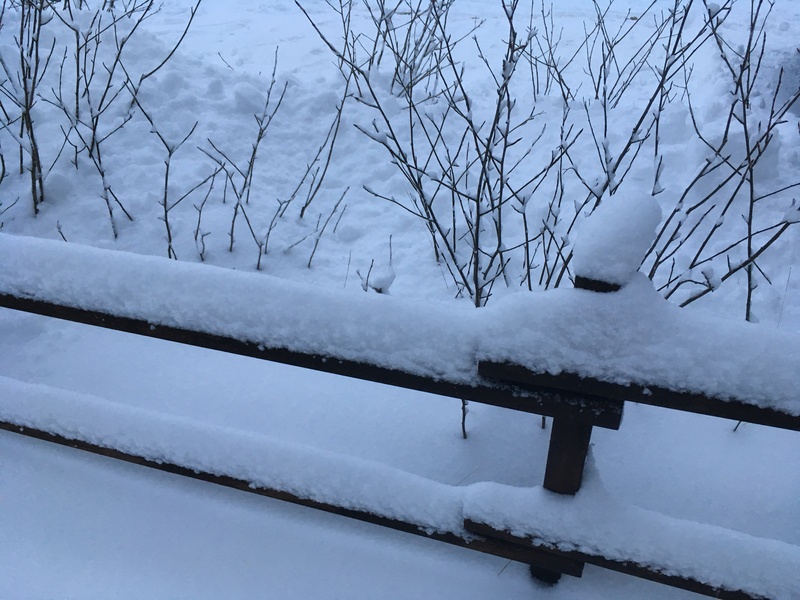 The new February snow depth record measured for Reyjavik was 51 cm. This caused a lot of trouble for the traffic. For us it meant that we had excellent conditions for our international comparison of snow depth and snow water equivalent measurement devices. We were researchers from 10 European countries and USA. Nevertheless, after the snowy and windy winter-time field work you will have use for a bathing suit to visit an outdoor hot spring or a swimming pool! An amazing thing to do on a winter day, and possible also in February! It is a must at least once during one winter time snowy field work period! The Faroes are small volcanic islands (can you find the tiny red text “Faroes” I wrote in the map?) situated between Norway, Iceland and Scotland. Some of the islands are connected by tunnels and bridges, or ferries. What to expect from Faroes in March? Faroes consist of 18 volcanic islands separated by narrow fjords. Despite the northern latitude location, winters appear to be surprisingly mild (> 0 deg C expected) . In addition to many birds, mostly during summer time though (no puffins in March! ), we are likely to see some domestic animals, like Faroese horses and sheep! According to our FINI host Lis Mortensen, March is probably a good month for snow and there is often (not always) snow that time of a year. So, March it will be! Lis also recommended us to visit the Faroes info pages of https://visitfaroeislands.com/ (they are amazing! ), and to stay in Tórshavn as the most practical place for field research in FINI (15 km from Torshavn) and around, because the connections to many other places are good from there. To keep our budget, we have now booked an apartment (appr. 2 km away from the Torshavn town center), where we can also easily have our field laboratory for filtering our snow and water samples. From a rainy island to a sunny? The key thing in preparing for Faroes field work is the fact that the weather can change really suddenly there. Tourists are advised as “If you don’t like the weather, wait five minutes!”. You can check Faroes weather here: https://www.yr.no/place/Faroe_Islands/Other/Faroe_Islands/. This is what we will certainly do as the first thing every morning while there! Furthermore, if in one island is rainy, another island can be completely sunny. Great, that seems to be easy to do, too: multi-day Travel Cards (DKK 500 for 4 days) can be used on all buses and ferries (with the exception of the one to Mykines). Agree who will be part of the field work and what are the individual tasks, who will drive if a rental car is needed, get the international drivers license, insurances needed and who pays these (e.g., EU-Interact does NOT pay: insurance costs and personnel costs of any kind, daily allowances (per diems), km allowances, telephone and internet costs, purchase of equipment or chemicals, customs costs, meals and food purchases during journey to station and back, nor other extra services at place of accommodation). Exercise any skills with equipment and order the consumables well in advance. and the country prefix is +298. Prepare field work maps for your journey. Permissions: do we have the required permissions to enter for our field work and what are the practices and is our work allowed there? Identify the risks and prepare a what-if plan (alternative work plans). The field research in Faroes, in FINI and around, will be conducted by me and my colleague Laura Thölix, FMI. Our aim is to collect samples on snow, natural water and drinking water, for filtering and chemical analysis of black carbon, organic carbon and dust. 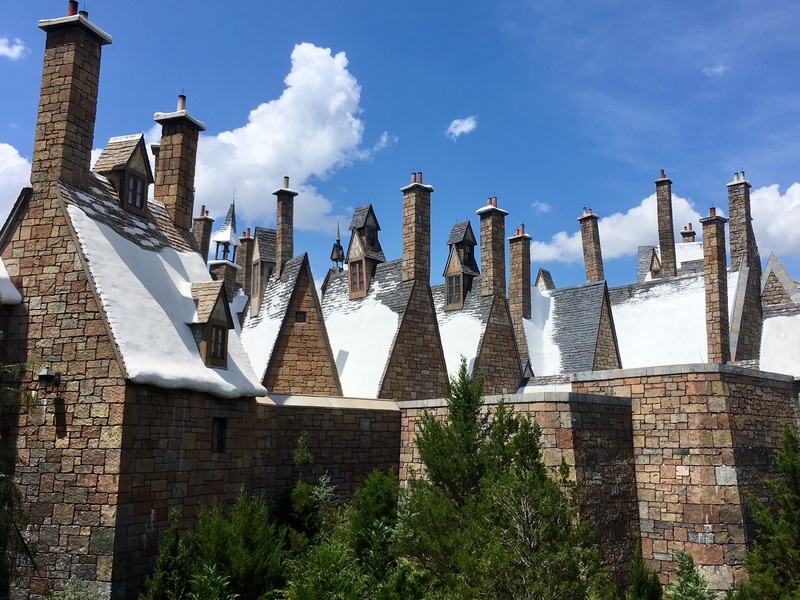 In Harry Potter, snow shaped the magical world of Hogwarts, somewhere in Scotland. So, you might already know that there really is snow in Scotland. Actually, Cairngorms, a mountain range in the eastern Highlands of Scotland, is one of the longest recorded snow sites in the UK http://data.ecn.ac.uk/sites/ecnsites.asp?site=T12. And it gets even more amazing: each week a digital photo of Cairngorms ECN (Environmental Change Network), in the Allt a’Mharcaidh catchment, Cairngorms National Park, is taken and kept in an archive as a record of conditions at the site! This is my starting point for searching for the best snowy period to visit. WHEN IS THE SNOW TIME IN CAIRNGORMS NATIONAL PARK, SCOTLAND? Using a data base for publications, I was able to find this highly relevant publication of Andrews et al. (2016): https://rmets.onlinelibrary.wiley.com/doi/epdf/10.1002/wea.2731. From their Figure 2, I can roughly estimate that during all the 13 years, the onset of continuous snow cover during the early winter has started between days 275-360 of the year (in 2018, 2 Oct – 26 Dec) and subsequent melt of remnant snow patches in days 100-175 (in 2019, 10 April- 24 June). From this it follows, that regarding the best time for the visit, autumn is totally ruled out as too uncertain to catch snow. Yet, during the spring, any time before 10 April you can assume to find snow. One more unexpected result came up from their results: there is evidence of increased snow cover over the past 13 years! What??? Everywhere snow cover is reported to be less… It will be most interesting to learn more about Cairngorms snow during the agreed field visit in late March/early April 2019! To end with, here is my short checklist for planning a field work visit. By the end of this checklist, it is time to start preparations for field work. Enjoy the planning – well planned is half done! Check what exactly was granted for you and your team, and what are all the rules related to your visit, from the project and your home and host institutes points of view, and that you have all the necessary permissions. Update your initial field work plan, including dates (best time to catch your data), and places and work to be done, i.e., when, where, what and why? Contact your host to agree on the field visit plan with her/him. Tell what is your up-to-date plan and prepare to change the plan according to your host’s expert view. Make the necessary bookings within the given budget and agreed plan. Inform your host about your successful bookings and stay in touch. Then you can really start preparing for your field work. E.g., order consumables, make a packing list of equipment needed (including a First Aid Kit), exercise any skills with equipment, make sure to have phone numbers of contacts relevant to fieldwork and for emergencies, etc. Enjoy! About us #2 will tell you more about us four, it will be about our personal bio (while About us #1 was the bio of the Black blog). Our Finnish-Icelandic-Czech-Swedish BLACK team is very much looking forward to the season 2018-2019 field work in Faroes, Iceland, and Scotland! Let us introduce you our team, i.e., Outi, Pavla, Laura and Jonas. We all have previous Arctic and cold climate field work experience, and we were briefly introduced in “About Interact Bloggers” . 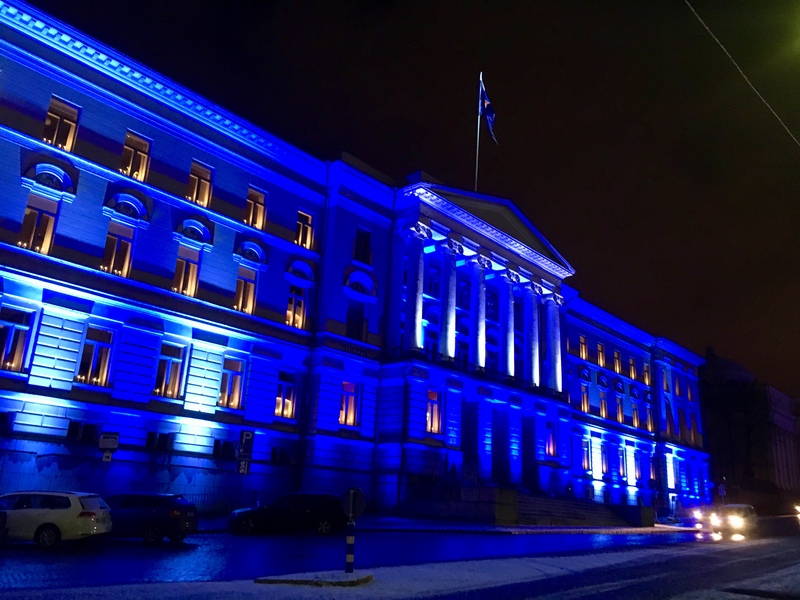 The capital city of Finland, Helsinki, is where I was born, and where I graduated from high school, and from the University, too. But now I live in Espoo, in one of the southern main districts of the city of Espoo, close to the Aalto University, and I work at the Finnish Meteorological Institute (FMI), Climate Research Programme, Atmospheric Composition Research Unit, Atmospheric Aerosols Group, Aerosols in snow WG, in Helsinki, Finland. My previous cool (cold) field work includes Finland and Arctic, in Sodankylä (beyond the Arctic Circle) and in Iceland, and at high altitudes in Sonnblickbasis, Austria, and I have also instrumentation for many years at Marambio Base, Antarctica, as well as had onboard the Swedish icebreaker Oden. Atmospheric radiation and effects of black carbon and Icelandic dust on snow albedo and melt, is the field of science I have most recently specialized in. From the new places to visit, Faroe Islands and Scotland will be totally new experiences for me. 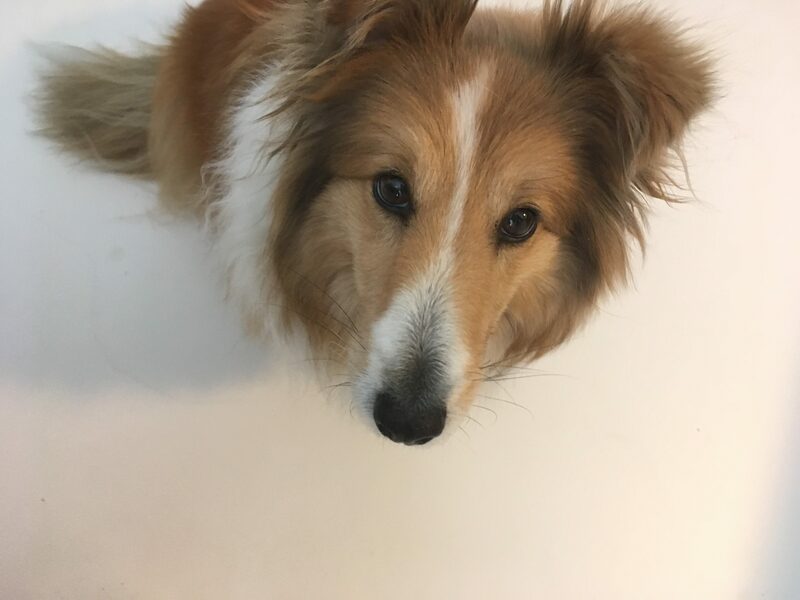 My closest connection to Scotland so far is our Shetland sheepdog (Shetland belongs to Scotland). Our Shetland Sheep dog Minttu waiting for some action to start. 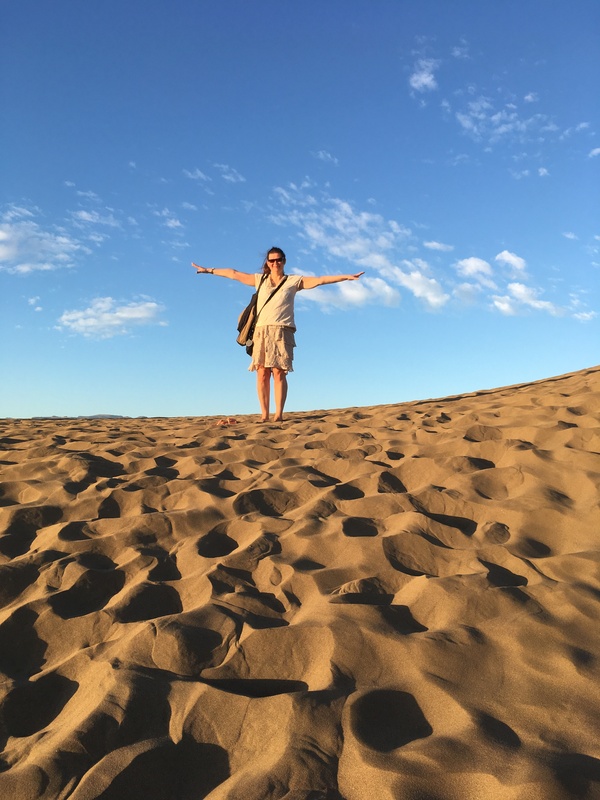 On the other hand, cold climate work at high altitudes and latitudes, has to get balance from some warmer climate action, like flamenco as a hobby! My other interests include, e.g., making mosaic, meaning decorative simple recycling art works from small pieces of broken ceramics and tiles, colored glass, seashells and stones, and other recycled materials, on old chairs, tables and smaller recycled items, and also on small rocks. Reading is also one of my favorite pastimes (I have read all the Harry Potter books in Finnish, tried one in English but found it very demanding…), and also dog walking, nature and culture walks, as well as slow cycling, and different types of other sports, just for fun. My favorite self-made mosaic table. And now I wonder what Pavla, Laura, and Jonas want to tell about themselves… from this forward it will be their free word input (and I take absolutely no responsibility). Black are the deserts and beaches in Iceland and black is the volcanic ash emitted in recent eruptions in Iceland. Sometimes our glaciers and snow are also black because volcanic dust or ash are distributed over the surfaces. Indeed, Iceland is a perfect outside laboratory to study atmosphere-cryosphere interactions. My most favourite time is up there in the black desert or chasing dust plumes and dust devils with my aerosol instruments. 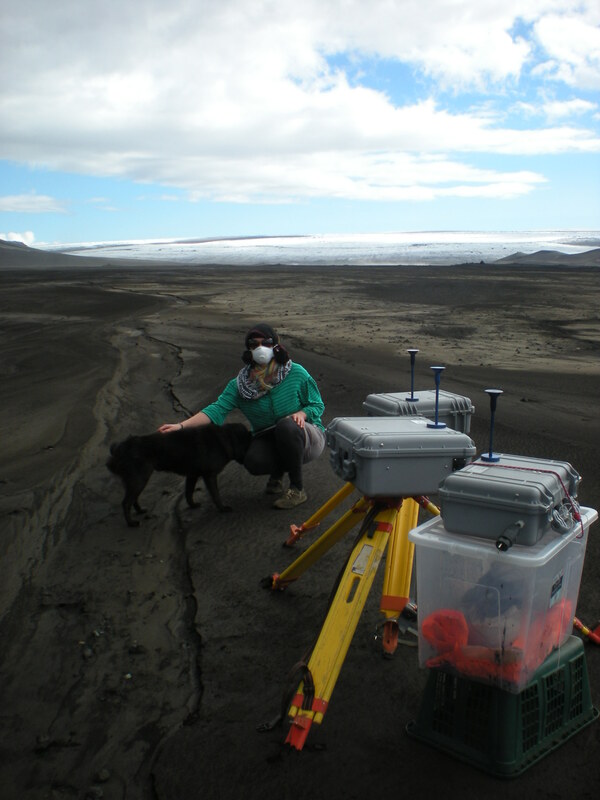 Our dog Skuggi participated the ADMI2013 campaign – Aerosol Dust Measurements in Iceland 2013, the first ever aerosol measurements campaign on dust source in Iceland. 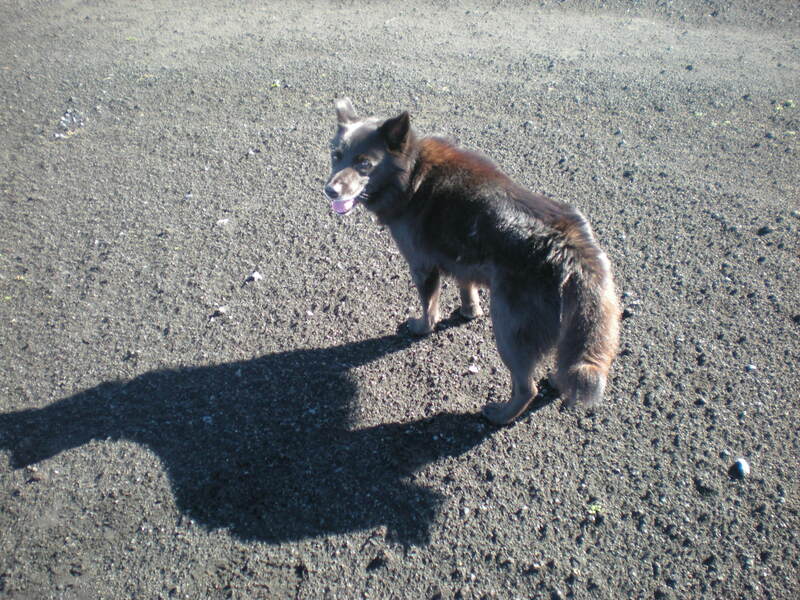 By the way – Skuggi means shadow in Icelandic. Sometimes we send meteorological balloons with the instrument, sometimes we collect dirty snow, but it is mostly the cameras, which bravely monitor the desert surfaces for us. Iceland is not the only High Latitude Dust (HLD) source of my interest. Our instrument travelled also to Antarctic Peninsula to capture strong dust event from local materials as well as material transported from Patagonia. It is also excited to take trip and provide measurements from Svalbard and hopefully also other HLD sources. I am originally from the Czech Republic where we love to swim in ponds, kayak, and cross-country ski, but Iceland has become my second home since 2008 and I like to try to do my Czech hobbies here as well. LAURA THÖLIX, PhD (Doctoral candidate in the beginning of BLACK) FMI Helsinki, Climate System Research, specialized in stratospheric modelling and ozone, which controls UV irradiance reaching the ground, and has experience of fieldwork in the Arctic Sodankylä and Utsjoki, Finland. JONAS SVENSSON, PhD, FMI Helsinki, Aerosols in snow WG, experience in field and laboratory work on BC, in BLACK will contribute to filter analysis at the FMI Aerosol Laboratory Facility.